WASHINGTON, D.C. — The Military Bowl presented by Northrop Grumman, benefiting the USO, today announced that Marshall University has accepted an invitation to play in this year’s game. Kickoff is set for 2:30 p.m. EST on Dec. 27 at Navy-Marine Corps Memorial Stadium in Annapolis, Md. The game will be televised nationally on ESPN. Marshall (9-4) won the Conference USA East Division title. The Thundering Herd, which includes 10 players from the Washington area on its roster, will play a team from the Atlantic Coast Conference. It will be Marshall’s second game this season against an ACC opponent; the Thundering Herd lost to Virginia Tech, 29-21 in triple overtime, on September 21. 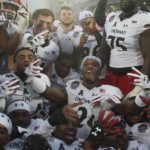 The ACC representative in the Military Bowl will be announced Sunday. Marshall won seven of its final eight regular season games, the only loss coming on a last-play touchdown. 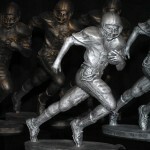 The Thundering Herd’s high-powered offense, led by junior quarterback Rakeem Cato, led Conference USA in scoring (44.6 points per game) and total yardage (513.2 per game) during the regular season. Senior Gator Hoskins led all tight ends nationally with 13 touchdown catches. On defense, Marshall made the biggest year-to-year improvement nationally, allowing 21.4 fewer points per game this season. This will be the Thundering Herd’s 11th bowl appearance, but first appearance in the Military Bowl. Marshall is 7-3 all-time in bowl games. 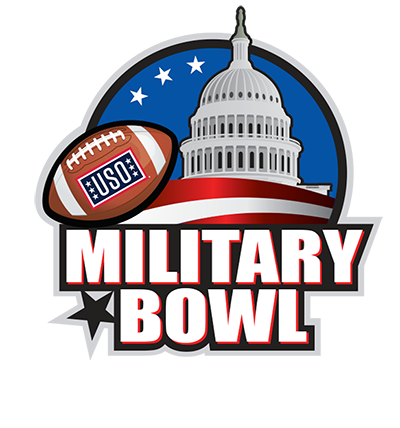 In its sixth year, the Military Bowl presented by Northrop Grumman brings the excitement of postseason football to the Washington, D.C., area while also supporting the USO and our nation’s military personnel. Once again, the Military Bowl this year will donate at least $100,000 to the USO and provide complimentary tickets for active-duty military personnel and their families. 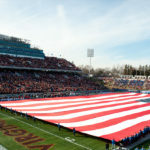 Tickets for the Military Bowl are on sale now at militarybowl.org, with prices starting at $20.